Hartford Care’s Malden House has delivered a dementia training programme to a group of 15 students from Sidmouth College. As part of Dementia Awareness Week, which ran from May 20 to May 26, the students visited Malden House to work with staff and residents. Agnieszka Orlowska, registered manager of Malden House, said: “It was great to see the students learning so much about dementia – some of them became emotional and showed a lot of passion about what we do at Malden House. Staff shared their care values and gave the students strategies to use when working with someone suffering from dementia, these included how to empower people, keep dignity intact and encourage independence. 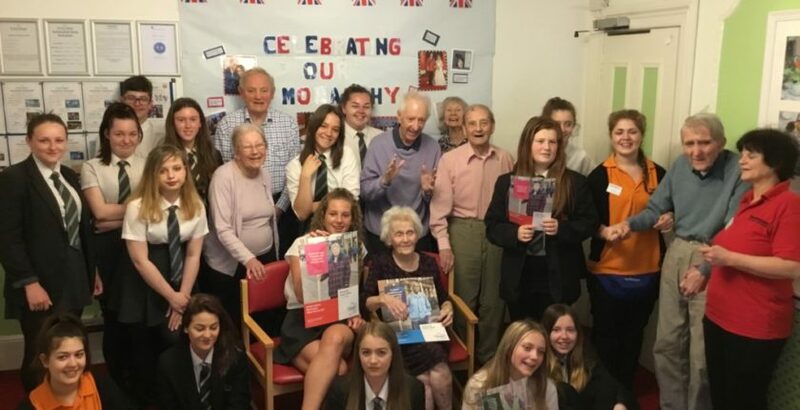 The students then put their training into practice by working with the residents on a variety of activities, including assisting with the sensory garden, arts and crafts, and cooking.